Action Nitro! an action platformer where you jump from plane to plane to reach the ISS and defeat the bad guys. Compile the Nit tools from the root of this repository. Refer to the root README file for directions. Install the packages requisited by gamnit. See the list in ../../lib/gamnit/README.md. Compile the game with a simple call to make from this folder. Character art created by jeremygooch under CC-BY 3.0. City skyline created by Alucard under CC-BY 3.0. 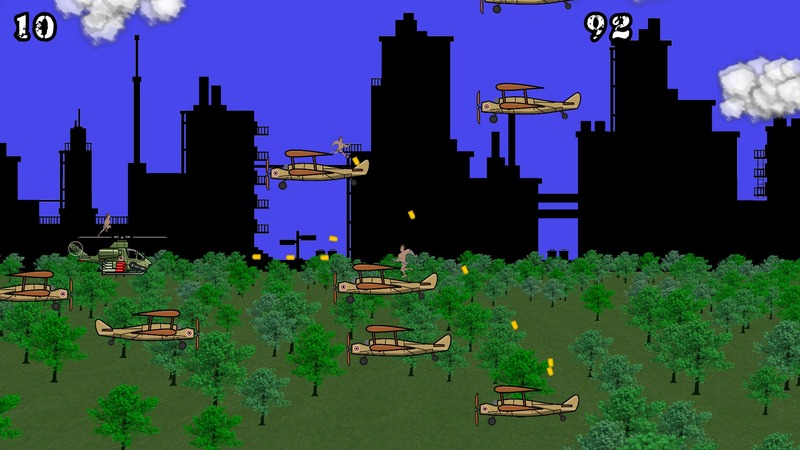 Helicopter art by SpriteAttack under CC-BY-SA 3.0. Planes, derived from the helicopter art created by Alexis Laferrière under CC-BY-SA 3.0. Parachute and powerups art created by Alexis Laferrière under CC0. Particles created by kenny.nl under CC0. Stars textures created by StumpyStrust under CC0. 3D model of ISS credit NASA Ames Research Center.